Almost nothing soothes the mind and body like a warm bath in an oversized tub. However, all of those years of manual labor, strenuous yard work and picking up grand kids have taken a toll on your limbs. You would enjoy soaking in your tub more often if entering and exiting it weren’t so tough. 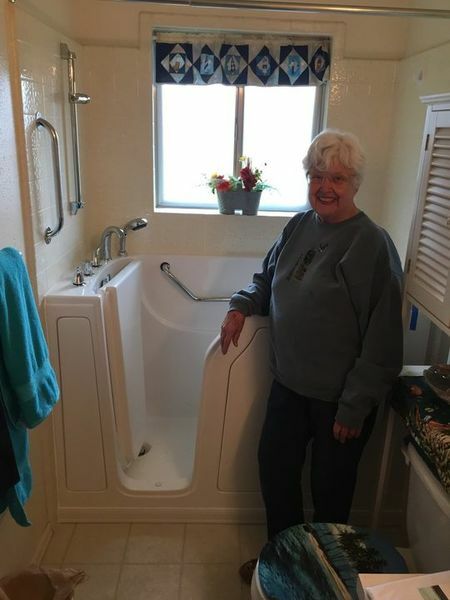 For those who have mobility issues due to aging or a disability, bathing can become enjoyable again with the installation of a walk-in bathtub by Dream Baths of Alabama, LLC. Since 1988, Dream Baths of Alabama, LLC has been improving the lives of independent seniors with spa-quality walk-in tubs. Call us today at (334) 209-5979 for a free consultation. You don’t need to take off to that fancy resort with the spa-style bathroom to enjoy a luxurious bathing experience. With walk-in tubs by Dream Baths of Alabama, LLC, you can easily step into your large tub for a long, pampering soak every day if you’d like. Our walk-in bathtubs are deeper than standard tubs and allow you to submerge your entire body in comforting warm water. You decide the water levels of your baths with easy-access, water-control knobs. Some walk-in tub models also have bidets so that you can clean harder to reach areas even if you don’t decide to completely fill the tub. Call (334) 209-5979 today to speak with one of our representatives about the walk-in tub that fits your unique needs. Many societies use warm-water bathing as therapy for issues such as arthritis, sleep disorders and anxiety. Dream Baths of Alabama, LLC installs walk-in tubs that have jets like those in popular Jacuzzi spas. You simply step into the tub area, sit down on the seat and feel the jetted water loosen knots in tired muscles. For 31 years, our clients have enjoyed the therapeutic benefits and convenience of our walk-in tubs. Our professional installation process is fast and simple. Contact Dream Baths of Alabama, LLC for a free quote on your new walk-in tub.